Call it the Modi tsunami or the strong desire of voters for a new political and development narrative in one of India’s most impoverished and caste-fragmented state of Uttar Pradesh. Either way, it is historic, as Mr Modi himself termed the spectacular show by India’s ruling Hindu nationalist Bharatiya Janata Party in legislative assembly elections in the key political battleground state of Uttar Pradesh. 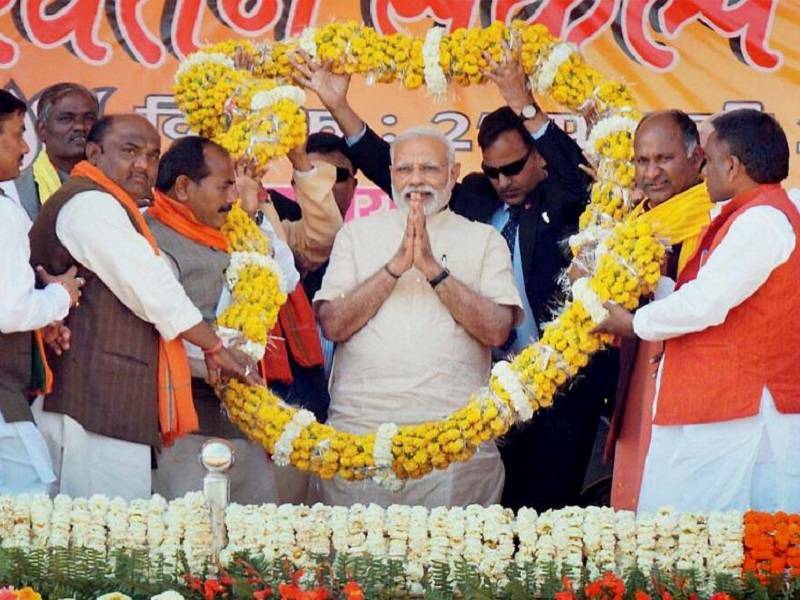 The elections in UP and the other states were the first major test of Modi’s popularity in the wake of the banning of high-denomination currency notes in November-December last year in a bid to cleanse the country’s financial from the menace of black money.Analysts said the poll results in UP, which is largely an agrarian state, showed Mr Modi had succeeded in tapping into popular anger over corruption and black money with the demonetization move in a country where most transactions are cash-based. Clearly, people were more struck by the act of Mr Modi itself than by its consequences. It was a move that went beyond party and caste and affected everyone equally, especially the rich. Exit polls broadcast by Indian television channels have projected India’s ruling Bharatiya Janata Party led by Prime Minister Narendra Modi ahead in the key state of Uttar Pradesh while Congress is poised to return to power in the northern state of Punjab after a ten-year hiatus. Most of the exit polls are unanimous that BJP is expected to return to power in the Himalayan state of Uttarakhand the coastal state of Goa. The BJP also appears set to win north-eastern state of Manipur from the Congress. If that happens in actual counting of ballots on March 11, this will be the second state in the region to have a BJP government after Assam. 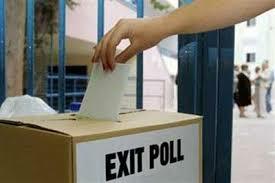 However, here is a word of caution: Indian exit polls often go off the mark. The high-pitched Assembly elections in the five states of UP, Goa, Punjab, Uttarakhand and Manipur concluded on March 8 with the last phase polling in Uttar Pradesh and Manipur. The polling in all other states – Goa, Punjab and Uttarakhand – came to an end earlier.